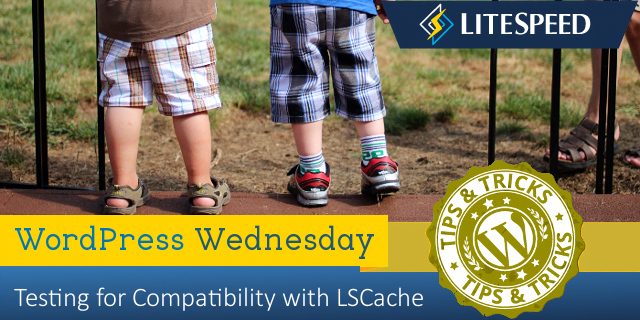 Today’s topic is: Is My Plugin Compatible With LiteSpeed Cache for WordPress? Disclaimer: The information contained in this post is accurate for LSCWP v2.2.0.1 [release log]. If you are using a newer version of the plugin, some details may have changed. Please refer to our wiki for the latest! NOTE: While you could perform these tests on a production site, we recommend using a test WordPress installation if you have one. This allows you to really take your time, and follow the steps carefully. Testing compatibility is not hard, per se, but it can be time-consuming. If you have to effectively take your production environment offline for the duration of the test, that can add pressure you don’t need! Check our compatibility list. If the plugin appears there, then we’ve already tested it and we know it works. If you’re still not sure, you’ll need to test for compatibility. Since it’s cumbersome to keep saying “the plugin you want to test,” let’s call it “MyPlugin” for this example. In order to test for compatibility, we’ll first deactivate all plugins with the exception of LiteSpeed Cache. Then we’ll verify the LiteSpeed Cache is working. Once we’ve determined that it is, we’ll activate MyPlugin, and run through some basic scenarios, checking that the site looks and works as expected all along the way. NOTE: If you suspect that your theme may be conflicting with LiteSpeed Cache, it’s best to temporarily switch to a different theme for testing purposes. Try the WordPress Twenty Seventeen theme, which we know to be 100% compatible: Navigate to Appearance > Themes, hover over the Twenty Seventeen card, and press the Activate button. From the WordPress Dashboard, navigate to Plugins, and click the checkbox next to the Plugins column as shown. All of the plugins will be checked. Un-check the box next to LiteSpeed Cache. Select Deactivate from the dropdown Bulk Actions box, and click the Apply button. All plugins, aside from LSCache will be disabled. Open an incognito window in your browser, and press F12 to bring up the developer tools. Click the first resource under the Name column in the developer tool window. This should be an HTML file and the resource’s headers should appear alongside it, as in the image above. For example, if your page is http://example.com/wordpress/, your first resource should either be something like example.com/wordpress/ or wordpress/. In a different, logged-in browser, visit your WordPress Dashboard, navigate to LiteSpeed Cache > Manage and click the Purge All button. These headings mean that the page has not yet been cached, but that LiteSpeed has now stored it for future use. Reload the page a second time in the incognito window, and you should see X-LiteSpeed-Cache: hit in the response header. This means the page is being served by the cache and LSCWP is configured correctly. 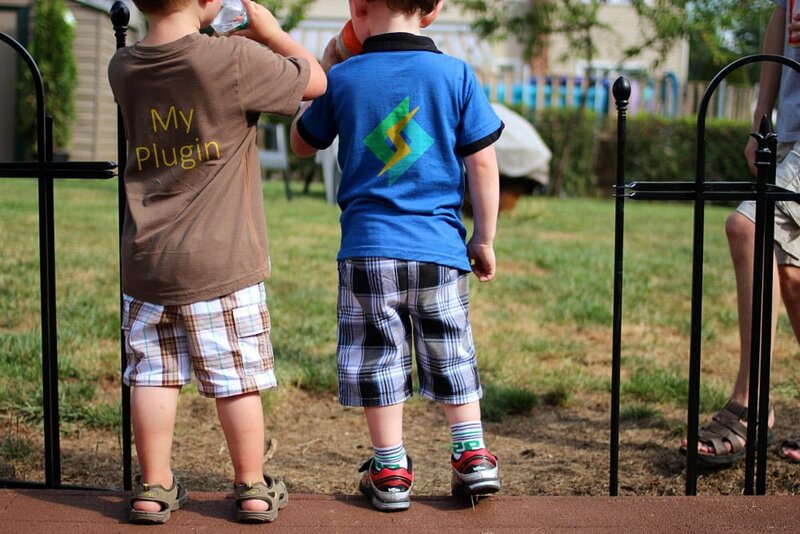 Now that you know that LSCWP works for you on its own, it’s time to try it with MyPlugin. Activate MyPlugin: Navigate to Plugins, locate MyPlugin in the list, and click the Activate link below the plugin name. This step varies, depending on how you use MyPlugin, and what it needs to be able to do. Run through your most common scenarios, and after each step, verify that MyPlugin is working as expected. If MyPlugin deals with any private information, run the through the steps twice: once logged-in, and once in incognito mode. When you visit the site incognito, be sure that you are not seeing any private information from your previous logged-in session. Do the pages look like they should look? Are cacheable pages being cached? Are non-cacheable pages not being cached? If there’s supposed to be private data on the page, are you seeing the correct private data? If MyPlugin is a forum plugin, run through the steps of creating an account, updating your profile, publishing a post, and submitting a comment. Check the cache and the display of private information at every step. If MyPlugin is a social sharing plugin that counts shares, use it to share a post or a page to social media and then verify that the share count has increased. If MyPlugin is a contact form plugin, use it to send yourself some feedback. Visit the form page again in an incognito window, and verify that you are not seeing any of your previous logged-in information. It’s always helpful to include a copy of your Environment Report so that the support team can see your system settings. To do so, navigate to LiteSpeed Cache > Report and click the Send to LiteSpeed button. Then make note of the Report Number and include it with your forum post. Once you are satisfied that everything works well, or you have documented and reported anything that doesn’t, you may re-activate all of the plugins, and restore your preferred theme. Sometimes the plugins all get along well, but there is something unexpected happening in the theme. Hi, wondering if anyone knows why when I have Litespeed Cache activated, ninjaforms forms will not submit? They get stuck at processing. I have to disable Litespeed Cache which affects the site speed horribly.